If you’re staying just the night in Melbourne, entering the search terms ‘cheap one night hotels near me’ or ‘backpacker accommodation in Melbourne’ can produce some less than satisfactory results. While you want something that’s inexpensive, you also want something that’s clean and hygienic. You might need ‘just’ a bed for the night, but you understandably want comfort as well. Luckily, you can have both when you book a Matchbox Room at Best Western Hotel on Spencer St in Melbourne. 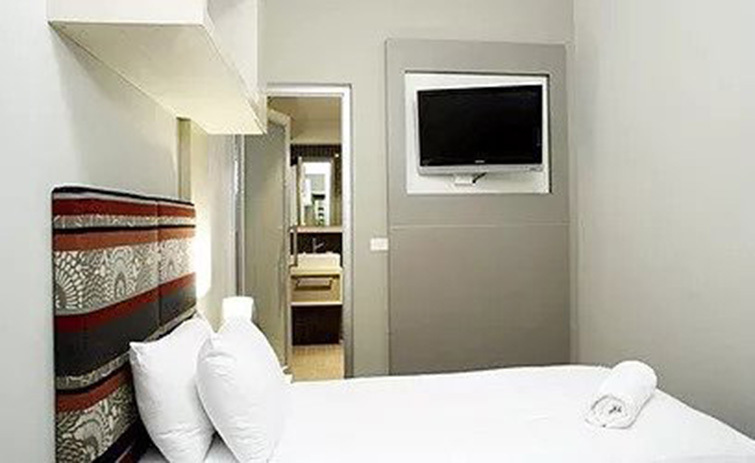 Whether you’re here for business, for pleasure, or for a little bit of both, your Matchbox Room booking will provide you with everything you need to make your brief stay in Melbourne enjoyable. If Best Western Hotel is any indication, searching “cheap one night hotels near me” can pay off every now and then. With its convenient location in the heart of the CBD, and shopping, dining and public transport all within close distance, everything can be right at your fingertips at a price you can afford. Avoid disappointment and book our Matchbox Room online today!